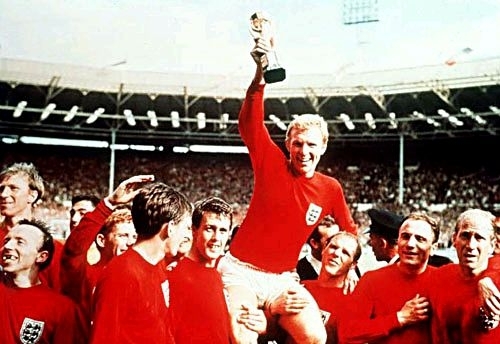 FIFA awarded the World Cup 1966 final tournament to England at the 32nd FIFA Congress in Rome on 22 August 1960 during the Olympic Games. England were challenged to hosting duties by the German Federal Republic after Spain had withdrawn from the bidding process. England won the vote with 34 votes to GFR's 27. 17 June: Alf Ramsey named a squad of 22 for the four-match European tour, from the 27 that had been training at Lilleshall for the past two weeks. 20 June: The Times announced the financial rewards on offer to the England squad, if they were successful in the World Cup. 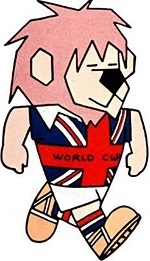 24 June: Following another three days training at Lilleshall, the 22-man squad arrived in Helsinki for the first match of the tour. "It is not because they are softhearted or particularly patriotic that bookmakers show England as second favourites behind Brazil for the championship. It is simply because they know England are fully capable of winning the World Cup." - The Times. 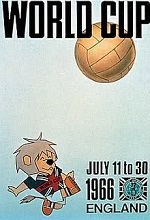 26 June: England beat Finland 3-0, in Helsinki. "England's strikers again miss the boat - chances wasted by fumbling finishing. 28 June: Ramsey made ten changes for the second game of the tour, against Norway. Only Roger Hunt kept his place. 29 June: England beat Norway 6-1, in Oslo. 1 July: Joe Mears, chairman of the Football Association, collapsed in an Oslo street and died from a heart attack, at the age of 61. He had previously suffered a heart attack in March, when the World Cup trophy was stolen and a ransom demand was sent to the FA. 3 July: Ramsey confirmed that the tour squad would be the World Cup 22. England beat Denmark 2-0, in Copenhagen. 4 July: The squad flew to Poland and, after checking into their hotel, they set off for the stadium for a training session in front of a thousand Polish fans. 5 July: England beat Poland 1-0, in Chorzow. "...England were...bashing their heads against a powerfully knit, cleverly organized Uruguayan defensive wall. "Every English player certainly fought and bestirred himself to the last breath..." - The Times, 12 July 1966. "If their technique and imagination is limited, their morale and fitness are certainly at a peak. "...only side in the field that has not yet conceded a goal. "...crowd hooted and booed, cheered and laughed in succession as the travesty of pushing, jostling, chopping, holding and tripping unwound. "West Ham United, united in thought and action, had done the trick for England. "...Wembley will remember for a long time to come. "...Moore and his men rose magnificently to the challenge. "How some of them found the resilience and the stamina...was beyond praise. "It was a triumph of skill, courage, and stamina - and an emphatic vindication of the policy and planning of the team's manager, Mr. Ramsey. "...a linesman was fortunately well placed to see that the ball came down inside the goal. "Would it, in matches of this standing, be worth while to have two extra "linesmen" posted, say, just behind the goals?